History can tell us a lot about how Apple will handle a processor transition. This week’s report from Bloomberg that Apple is planning on moving the Mac to its own chips starting in 2020 is the culmination of years of growing speculation about the future of the Mac. I’ve been impressed by Apple’s use of ARM chips in new Macs while being skeptical about the prospects of a full transition. But if we accept the Bloomberg report—and it’s from reporter Mark Gurman’s sources, which are generally excellent—it’s time to shift from speculating about whether or not Apple would do this and start to analyze why the company would make this move, and what form the transition might take. I started writing about Apple about the time that the company made its first chip transition. In 1994, Apple abandoned the Motorola 68000-series processors that it had been using in Macs for a decade in favor of PowerPC processors from the AIM alliance (Apple, IBM, and Motorola). To ease the transition, Apple added an emulator to Mac OS that let old software run on the new PowerPC Macs. (In fact, a decent amount of Mac OS itself was run in emulation.) The PowerPC processors were so powerful that emulation didn’t cause much of a slowdown. The next chip transition came a dozen years later, in 2006, when Apple shipped the first Macs to run on Intel processors instead of PowerPC. Again, Apple provided emulation technology (called Rosetta) to ease the transition across processors. And like the first transition, it was a fairly orderly one. The entire product line was refreshed on a new processor line, software was updated, and within a year or two things seemed entirely normal again. 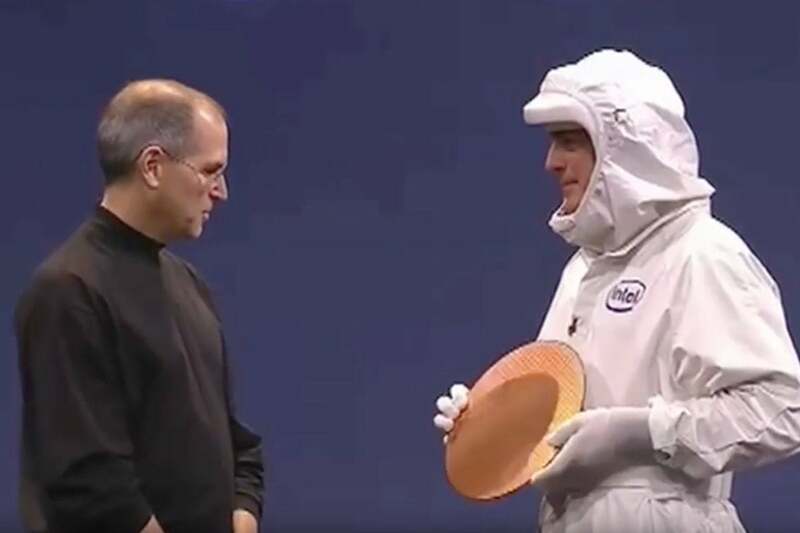 Apple's Steve Jobs (left) and Intel's Paul Otellini (right) announce about Apple's implementation of Intel processors in Macintosh computers. Apple WWDC 2005. If Apple begins a chip transition for the Mac in 2020, it’ll be 14 years since the previous transition, meaning that Apple will have kept the Intel architecture longer than either of the previous ones. But today’s Apple and Mac don’t remotely resemble their equivalents in 1994 and 2006. That calls into question whether we’re about to witness another measured, orderly change in Mac processors, or something much weirder. One of Apple’s options is to do exactly what it did the last two times: Announce that it’s moving to Apple-designed processors, give developers a few months of warning, and then spend a year or so turning over the entire Mac product line while building an Intel emulator into macOS to run older software (albeit more slowly) for a transitional period. It could be that simple, I suppose. But while Apple has managed to make A-series processors for iPhones and iPads that match or beat the power of some Macs, that’s generally the high end of the iOS world and the low end of the Mac world. Can Apple design and build high-power, multi-core processors that will work on the MacBook Pro, iMac Pro, and Mac Pro? And does the company have the will to use its processor-design operation to build chips for high-end Macs with small user bases rather than innovating on the next generation of processors for the iPhone? The counterargument is that Apple can do both, and that pushing performance for professional applications will help Apple push performance on all its other devices. Apple may also be confident that its approach on iOS would translate well to macOS, scaled up to provide even more processor cores (and with access to much more power than a battery-driven iPhone or iPad can provide). 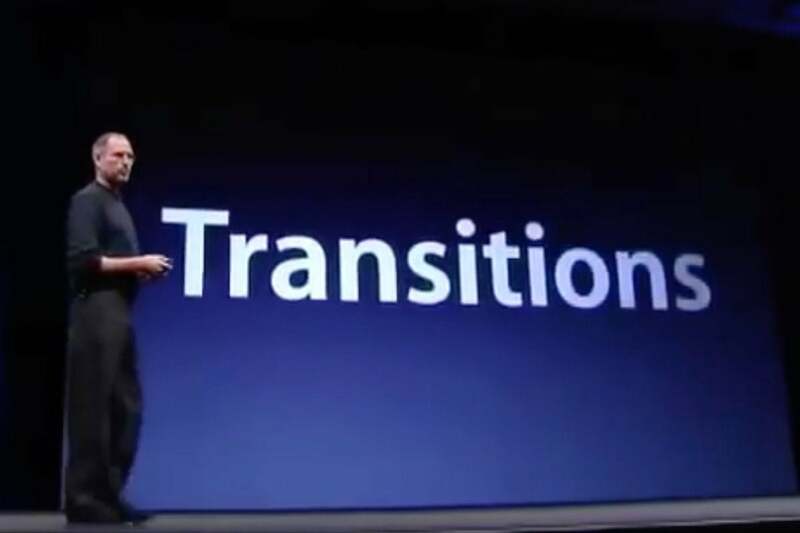 It’s also possible that, in a change from previous processor transitions, Apple might decide that the entire Mac platform doesn’t need to adopt its own chips. It seems awfully messy, but Apple could decide that pro-level Macs would keep their Intel processors, perhaps even running in tandem with more capable Apple-designed processors. 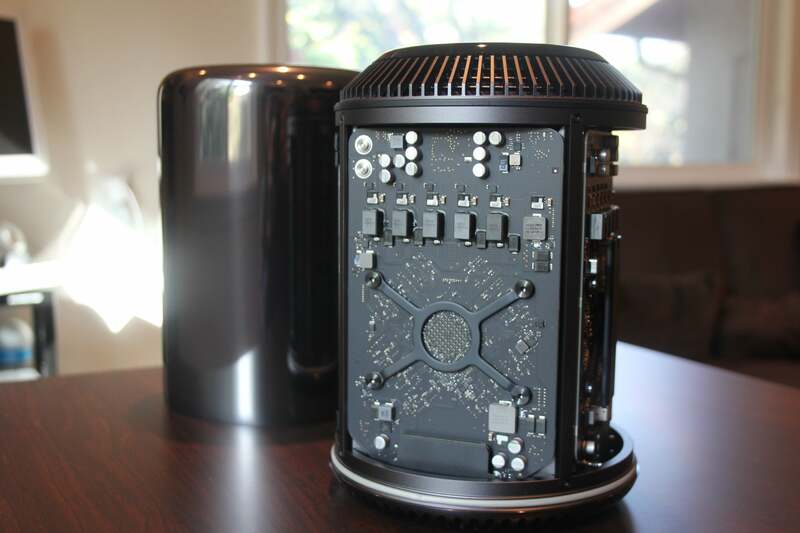 One possibility: Apple could keep using Intel processors in its pro-level Macs, like the Mac Pro, and use its own processors in consumer-level machines. You know the parable of the blind men and an elephant? Sometimes I wonder if we’re just not seeing the entire picture—just tiny snapshots provided by Mark Gurman’s sources. While reporting on the processor transition, Gurman said that Apple was working on a technology called Marzipan that would make it easier for iOS apps to run on macOS. The idea would be to take advantage of the thriving App Store ecosystem on iOS and allow it to enliven the relatively quiet macOS app market. What if these two stories are intimately connected? Right now Apple has two separate (but related) operating systems with large bases of users; the less work Apple has to do to differentiate them (while maintaining the quality of the products) the better. The act of modifying iOS apps to run on macOS also serves the purpose of teaching iOS developers how to build apps that run on multiple device styles—not just phones and tablets but laptops and desktops. It’s true that today’s iOS can’t do everything that macOS can do, but after several more years of development, will that be true? What if the Apple laptops and desktops of the future run Apple-designed ARM processors, are capable of running iOS apps, and have all the features (and support for older Mac-only apps) that most Mac users require? You could call those devices Macs, I suppose. But squint your eyes a little and you can also imagine them as a future generation of iOS devices, too. I can’t feel all the parts of this elephant, but it sure seems to me that Apple is moving forward on many fronts to unify as much of its technology as possible. Even if macOS and iOS don’t ever unify, exactly, it’s clear that in the next decade they’re going to converge in all sorts of ways we might not have expected.